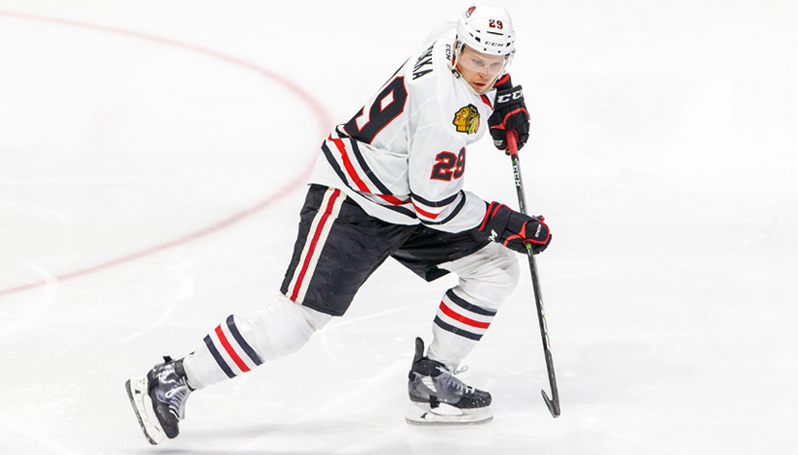 ROCKFORD, Ill. – The Chicago Blackhawks today announced they have recalled defenseman Ville Pokka from the Rockford IceHogs (AHL). Pokka, 23, has skated in 26 games with the Hogs this season, notching three goals with nine assists. He ranks second among team defenseman in scoring on the year and has tallied 1g-3a-4pts over his last six games. The Tornio, Finland native was originally selected by the New York Islanders in the second round (34th overall) of the 2012 NHL Draft. The blueliner is Rockford’s lone skater to play in each of the team’s 76 games during each of the last two seasons, and has led the team in power-play points during both the 2015-16 campaign (24 points) and 2016-17 season (20 points). Pokka made his professional debut with the IceHogs during the 2014-15 season and currently ranks first among Hogs defenseman and fifth overall in all-time games played for Rockford. The blueliner has combined for 27g-90a-117pts in 246 career games with the IceHogs. Next Home Game: The IceHogs welcome back the Chicago Wolves to the BMO Harris Bank Center at 7 p.m. on Dec. 22. The first 1,000 fans ages 21+ through the doors will receive a free IceHogs cooler backpack, courtesy of Bud Light. Tickets can be purchased at IceHogs.com, by calling (815) 968-5222 or in-person at the BMO Harris Bank Center Box Office.